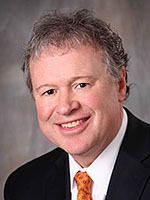 Dr. Clark is a graduate of University of New England College of Osteopathic Medicine. He completed a Family Medicine residency at Penn State Geisinger Medical Center and a fellowship of the American Academy of Family Practice. Board certified by the American Board of Family Medicine, Dr. Clark is a member of the American Academy of Family Physicians and the American Medical Association. Dr. Clark cares for newborns, children, adolescents and adults.